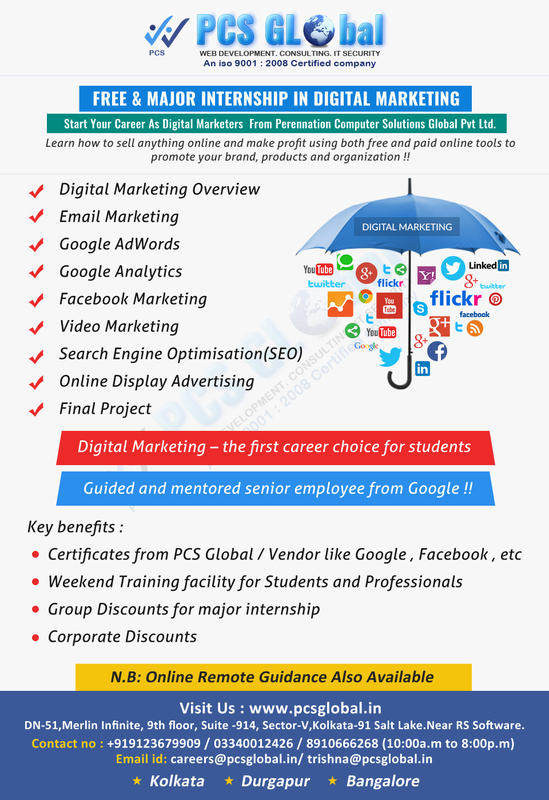 Start Your Career As Digital Marketers From Perennation Computer Solutions Global Pvt Ltd. 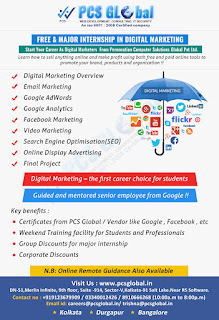 Learn how to sell anything online and make a profit using both free and paid online tools to promote your brand, products and organization !! Guided and mentored senior employee from Google !! 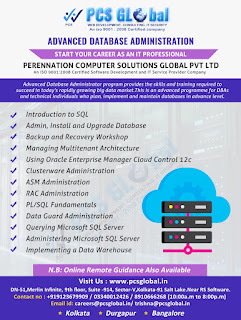 Start Your Career As an IT Professional From Perennation Computer Solutions Global Pvt Ltd.
Advanced Database Administrator program provides the skills and training required to succeed in today’s rapidly growing big data market. 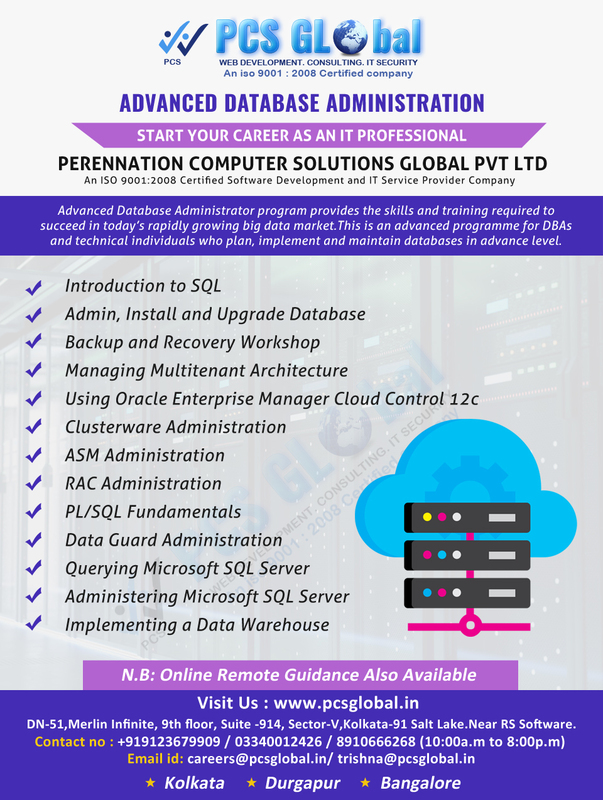 This is an advanced programme for DBAs and technical individuals who plan, implement and maintain databases in advance level. 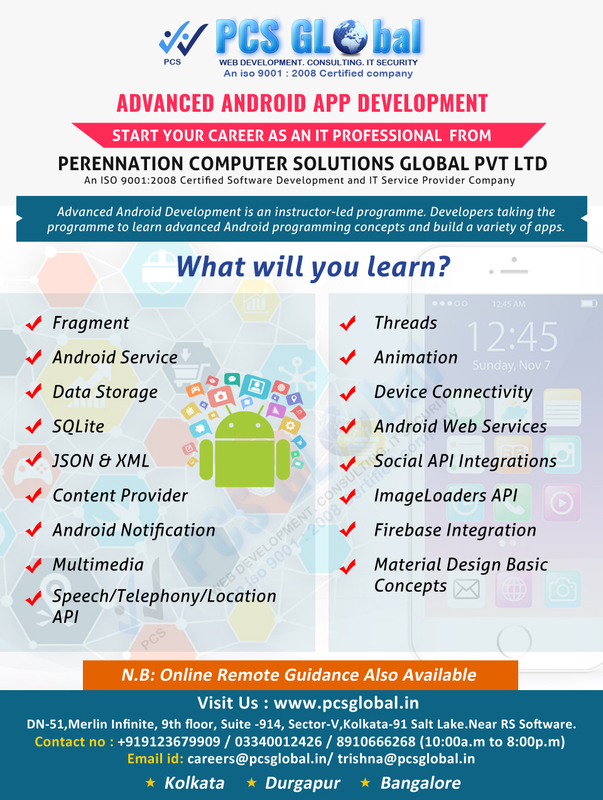 Advanced Android Development is an instructor-led programme. 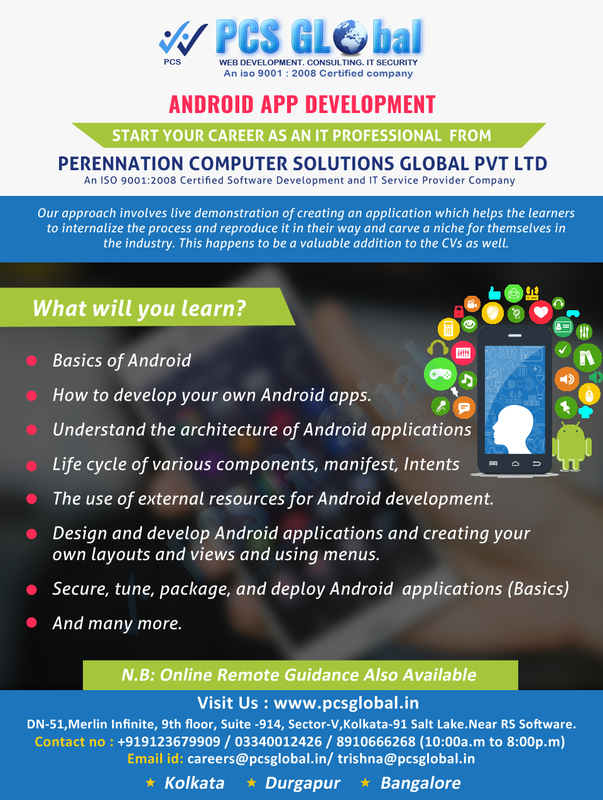 Developers taking the programme to learn advanced Android programming concepts and build a variety of apps. 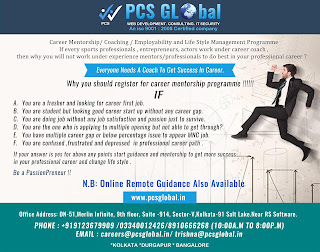 Our approach involves live demonstration of creating an application which helps the learners to internalize the process and reproduce it in their way and carve a niche for themselves in the industry. This happens to be a valuable addition to the CVs as well. 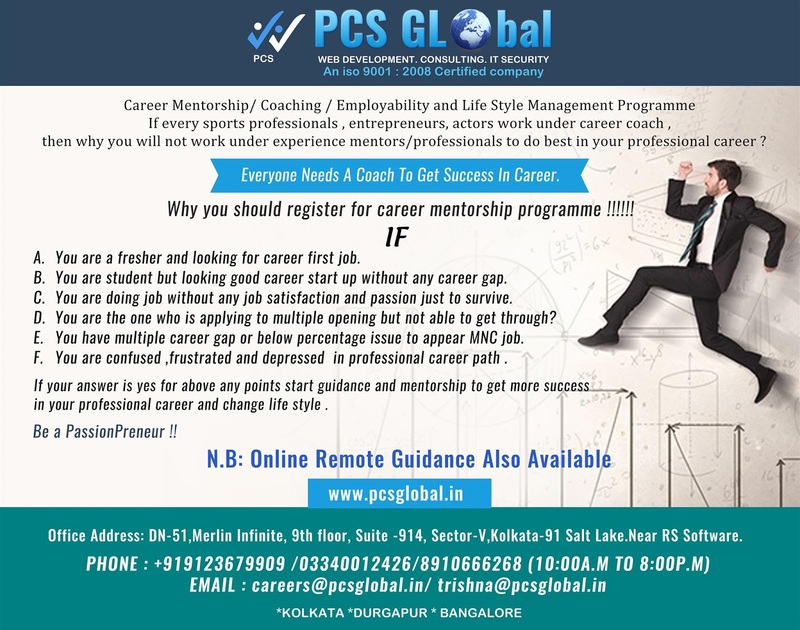 · Office Address: DN-51,Merlin Infinite, 9th floor, Suite -914, Sector-V,Kolkata-91 Salt Lake.Near RS Software. 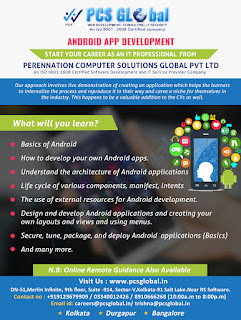 Our two resource got opportunity in development company on IOS and Android.